Then we look forward to seeing you soon! In the meantime, why not start planning your day to make sure your time with us at the Cambridge Theatre is as smooth as possible? We’ve done the hard work, so all you need to do is click the link below to check how and where to find us; have a look over our seating plan; and familiarise yourself with disabled access to the theatre. Get ready to experience the extraordinary. This dynamic young theatre is renowned as one of the most attractive venues in the West End and, fittingly, has housed some of the most eye-catching and inspirational plays and musicals of recent times. The Cambridge Theatre joined the LW Theatres family in 2000 and shortly after housed the controversial but highly successful Jerry Springer: The Opera. 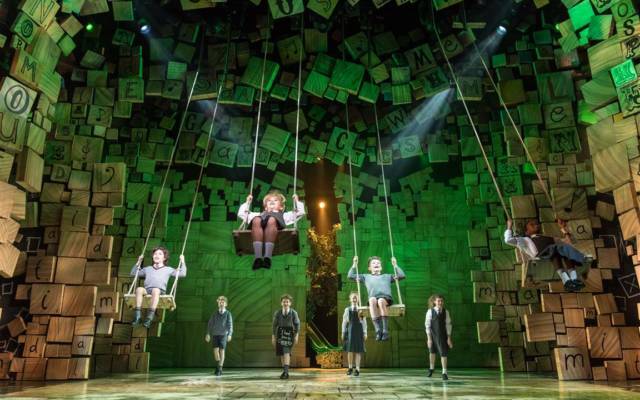 You’ll currently find the musical version of Roald Dahl’s beloved Matilda playing to packed houses and enraptured audiences in its intimate auditorium. Looking to hire the Cambridge Theatre? As well as a generously sized 1,200-seat main auditorium for conferences and launches, the multi-functional Cambridge Theatre also features a private suite capable of seating up to 14 people, or 50 standing, for smaller events. You can find us located at the centre of Seven Dials, the bustling yet easily accessible heart of London’s characterful Covent Garden, where our superb facilities and technical support staff will ensure your next event achieves the extraordinary.